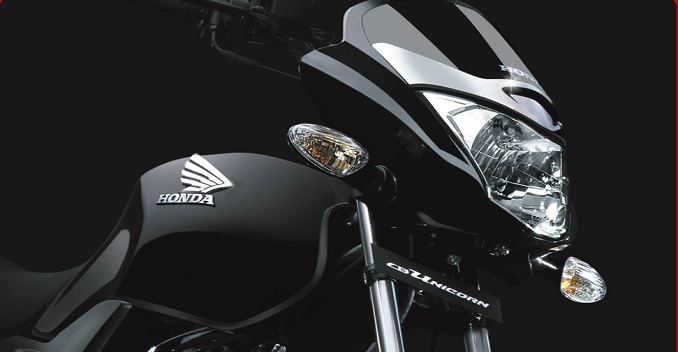 Honda Unicorn 160 is all set to be launched in the Indian Automobile Market. The 160 cc Honda bike is priced at INR 63695 (Ex-Showroom, Delhi). Unicorn 160 has already been dispatched to the dealerships and nationwide bookings have commenced for the same. The bike is more modern featuring a muscular tank and shrouds with 3-D Honda logo. It is expected to share design cues and components with CB trigger. The three fins on side panel, pillion footrests Switch gear, handles, digital instrument cluster are similar to the CB trigger. The rear is where the major design changes have been implemented. The Honda Unicorn 160 is equipped with H design Led Tail lights, which are strikingly different changing the over all looks. Powered by a 160 cc single cylinder, air cooled engine producing roughly 14 BHP power.